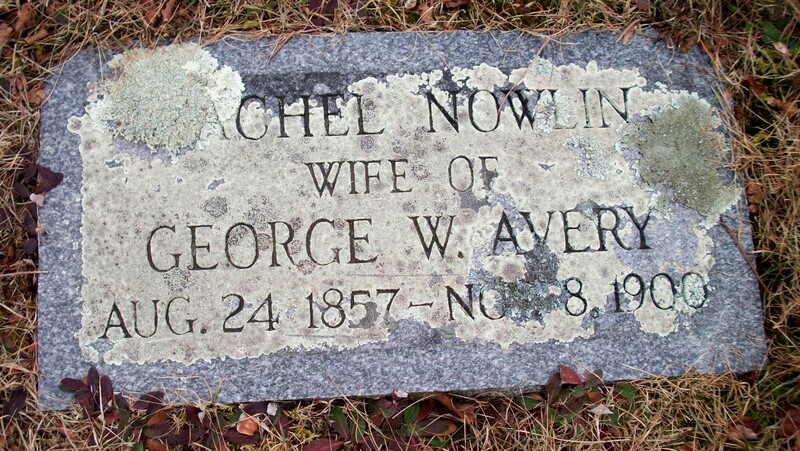 Died: November 8, 1900 in Bourne Ma. at 43 yrs. 1. Rose L. Avery; (August 18, 1890 – January 21, 1916); Rose was born in Attleboro Ma. 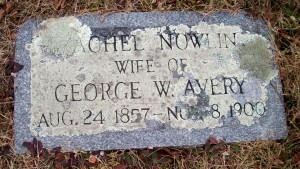 & is buried there in Woodlawn Cemetery. 2. Walter Owen Avery; (March 6, 1892 – April 2, 1971); Walter, born in Foxboro Ma. was a rancher & farmer; He was adopted by William H.Turner & Treazer C. Smith of Presque Isle Maine; He lived in Maine & Canada & is buried in Hillside Cemetery in Kamloops, British Columbia, Canada. 3. Elmer Elsworth Avery; (April 4, 1894 – June 27, 1977); Married Lenore Velta Braucht (1909 – 1971) (Amandus Robert Braucht & Maude May Jordan) in Calgary, Alberta, Canada on August 16, 1934; Elmer was adopted from The Home For Little Wanderers in Boston Ma. by Ralph Judson Estabrooks Abt.1903 & moved to Hartland, New Brunswick, Canada; He is buried in Beechwood Cemetery in Ottawa, Canada. 4. Clarence Herbert Avery; (October 2, 1895 – November 10, 1918); Clarence was in the Canadian Army & died of pneumonia in St. John Military Hospital, New Brunswick, Canada; He is buried in Lindsay Baptist Church Cemetery in Lindsay, New Brunswick. 5. Rutherford Birchard Hayes Avery; (November 10, 1896 – June 13, 1983); Married Ferne Marguerite Berryman (1905 – 2000) (Franklin E. Berryman & Elizabeth Mae Stevens) on December 30, 1924 in Northampton, British Columbia, Canada; Rutherford & Ferne lived in Connecticut, New Hampshire & Plymouth/Kingston Ma. ; They had 2 children; Rutherford & Ferne are buried in Wrentham Center Cemetery in Wrentham Ma..
7. Dorothy Drew Avery Merrian; (February 16, 1900 – ? ); Dorothy lived in Hardwick Vt.